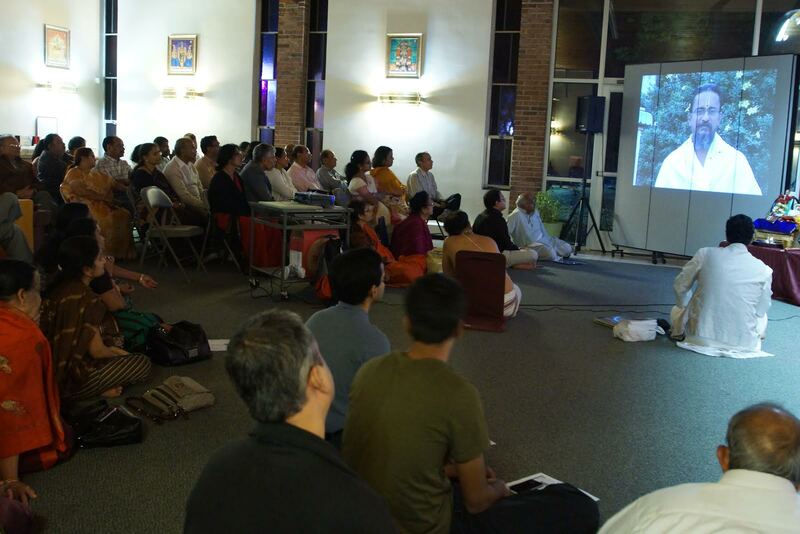 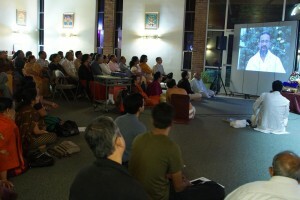 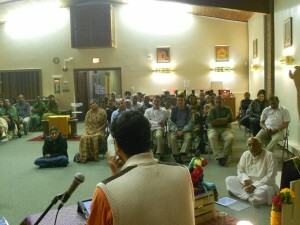 Categories: Bhagavatam Lectures, Srimad Bhagavata Saptaham. 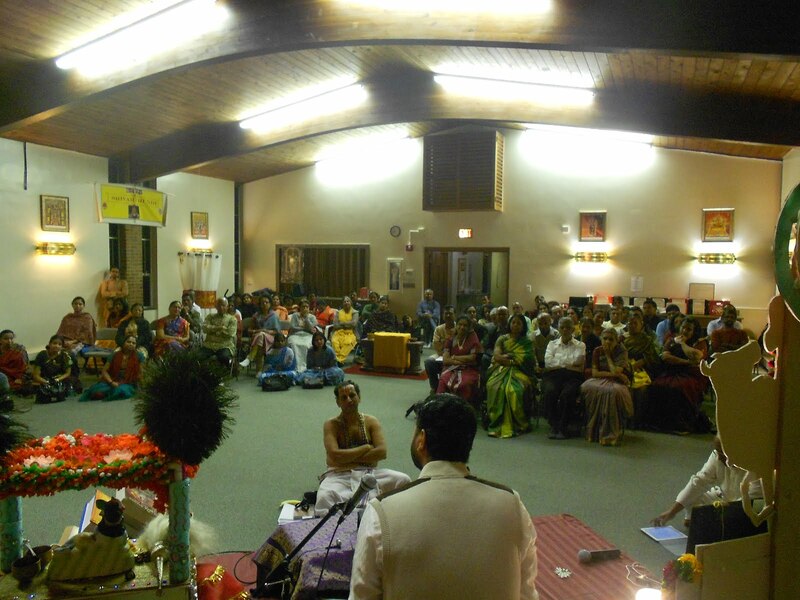 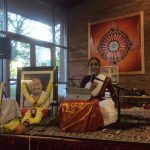 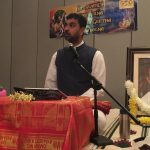 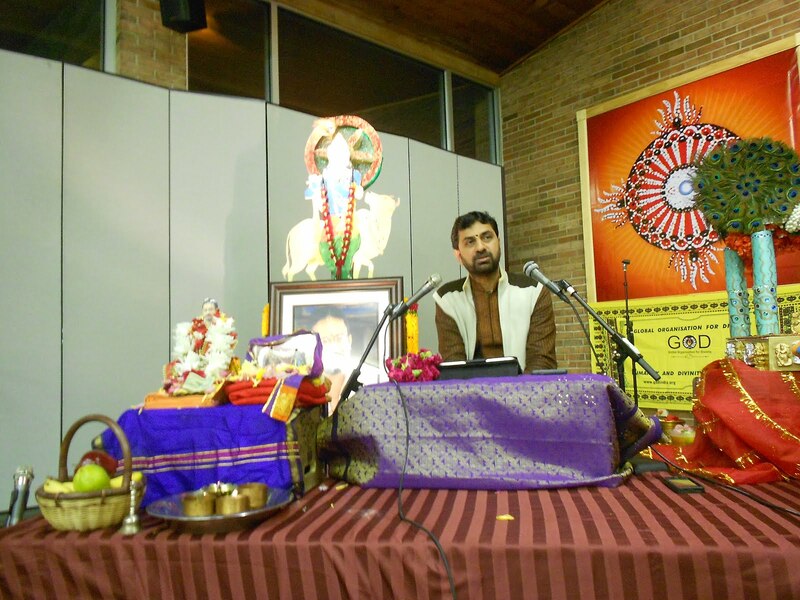 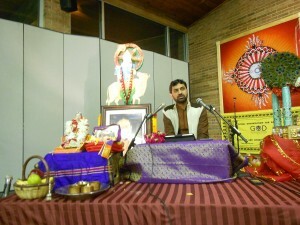 With the immense grace of Sri Swamiji, a seven-day discourse on Srimad Bhagavata Mahapurana in English by Sri Ramanujamji was organized from October 31st 2013 to November 6th 2013 at Sri Balaji Temple of Great Lakes, West Bloomfield (Detriot), Michigan. 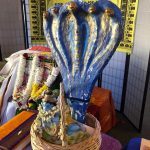 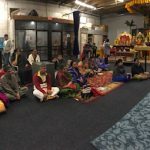 The Saptaham finished in a grand manner and more than 100 devotees participated on all the days and drank the divine nectar of Srimad Bhagavatam. 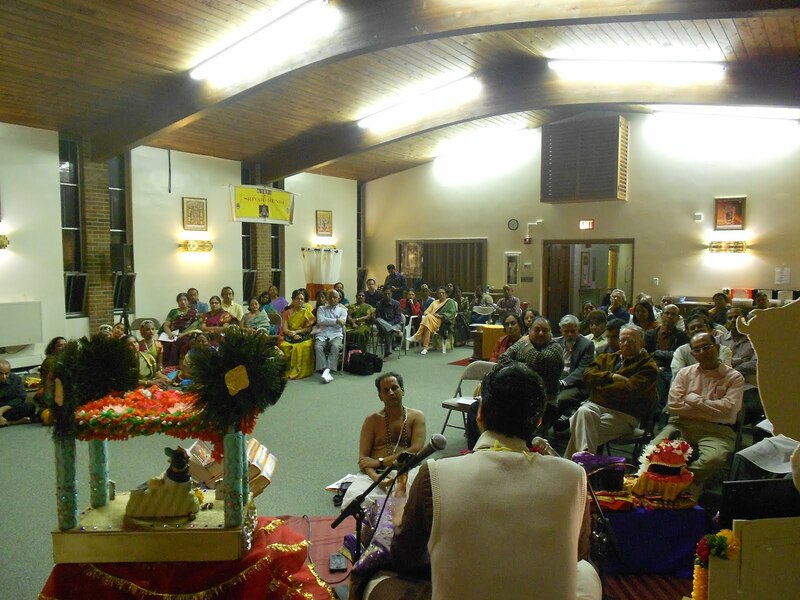 Sri Ramanujamji captivated the audience with his lucid expositions on Srimad Bhagavatam and exhorted everyone to chant the divine names of the lord atleast eleven times a day. 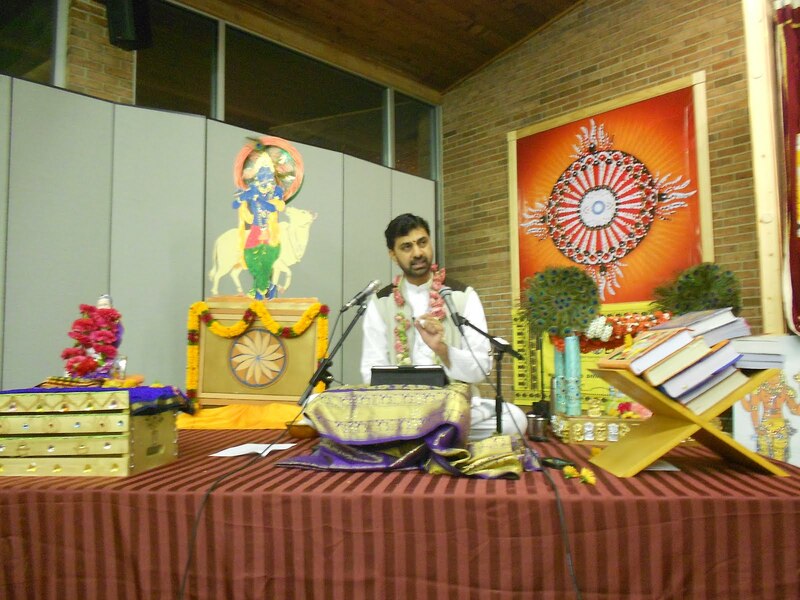 The seven day grand Mahotsava concluded with Sri Rukmini Kalyanam on Wednesday, November 6th 2013 followed by Anugraha bhashanam of His Holiness Sri Sri Swamiji’s discourse on the importance of Sravanam of Srimad Bhagatham Katha and the Nava Vitha Bhakthi. 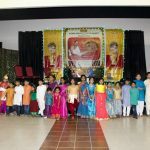 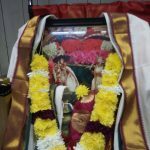 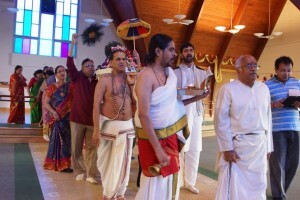 On Sunday, November 3rd 2013, a grand procession of the divine padukas of Sri Swamiji took place at Balaji Temple commemorating Sri Swamiji’s 52nd Jayanthi. 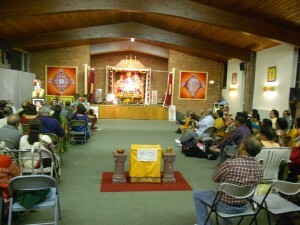 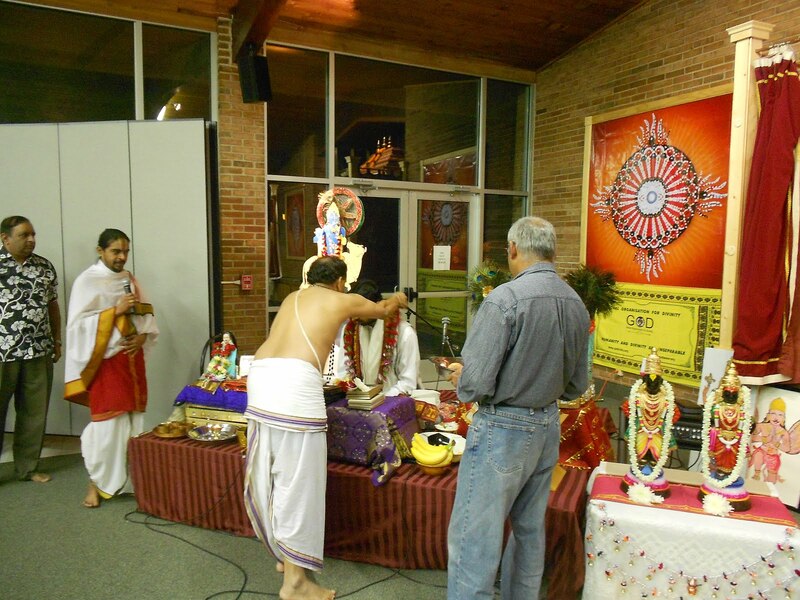 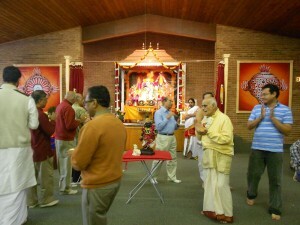 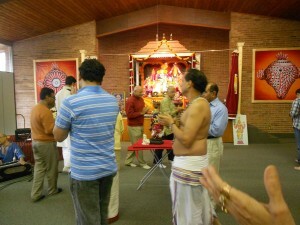 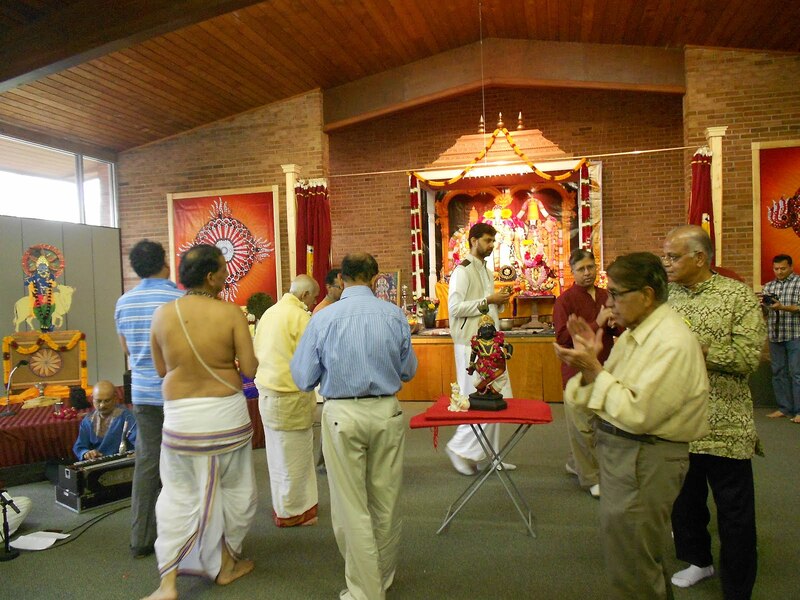 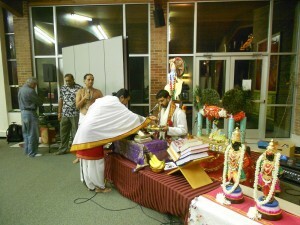 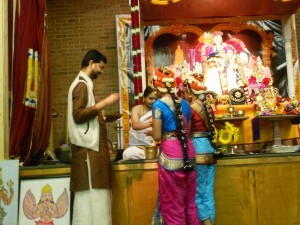 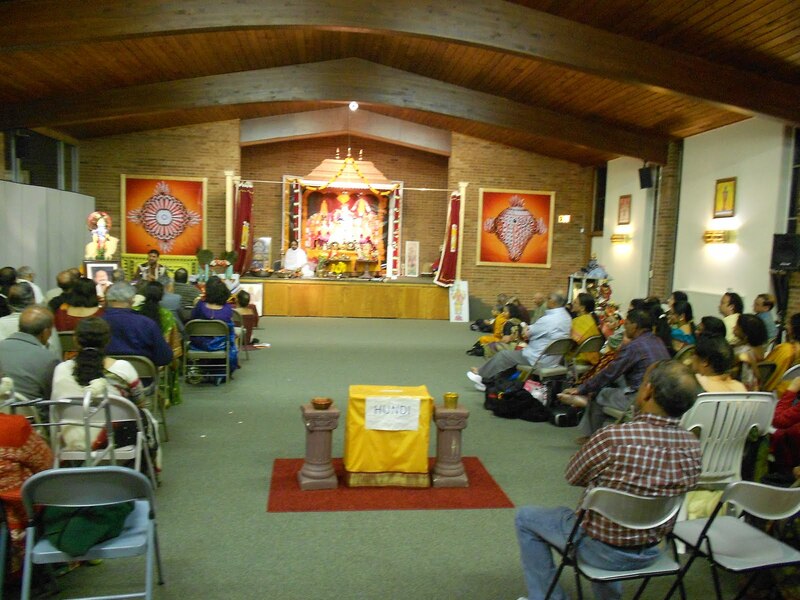 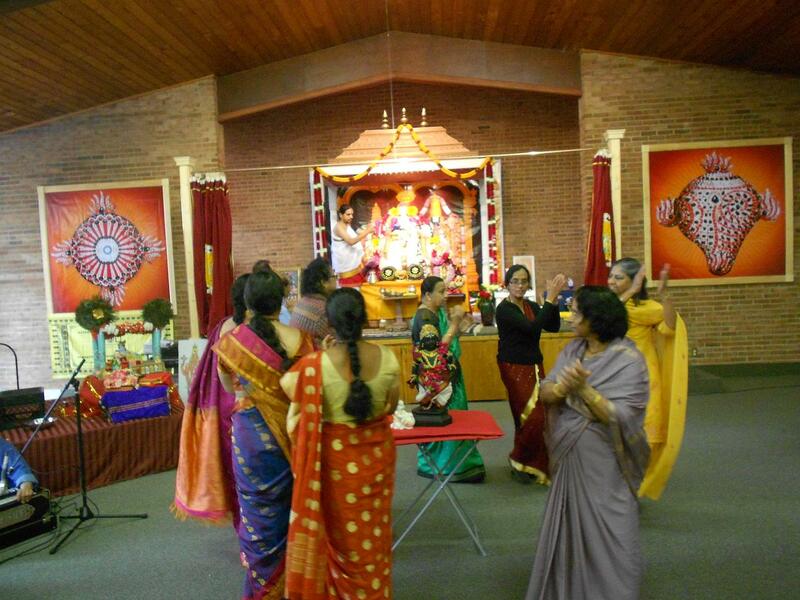 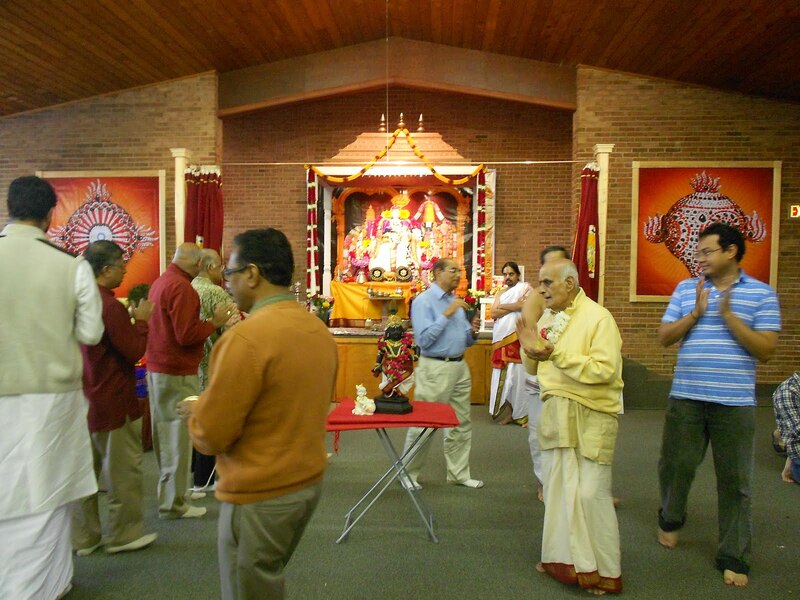 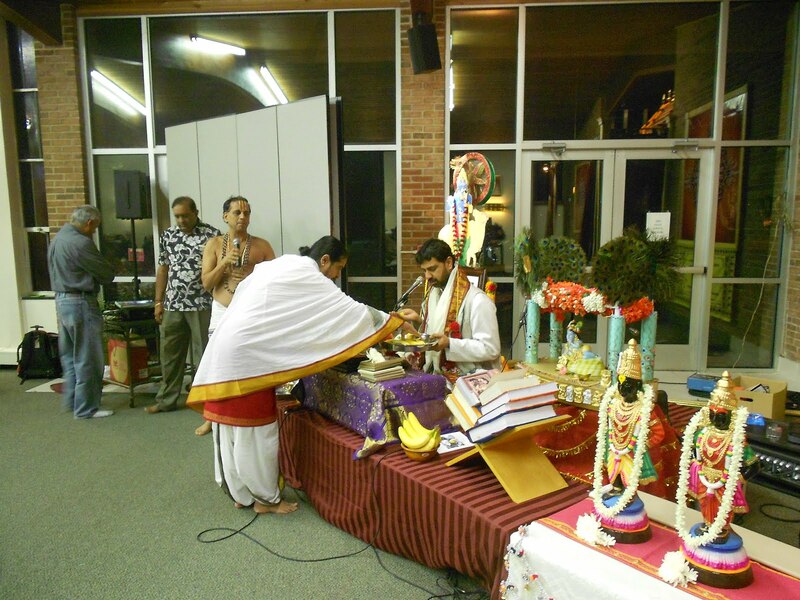 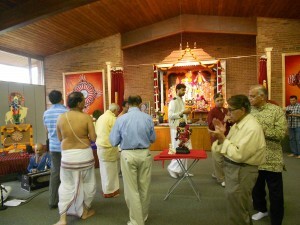 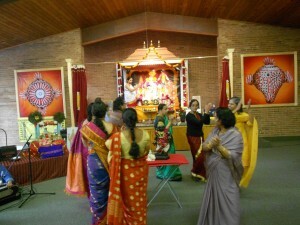 Detroit GOD Chapter members also completed the Moola Parayanam of Srimad Bhagavatam within 14 days at the temple.